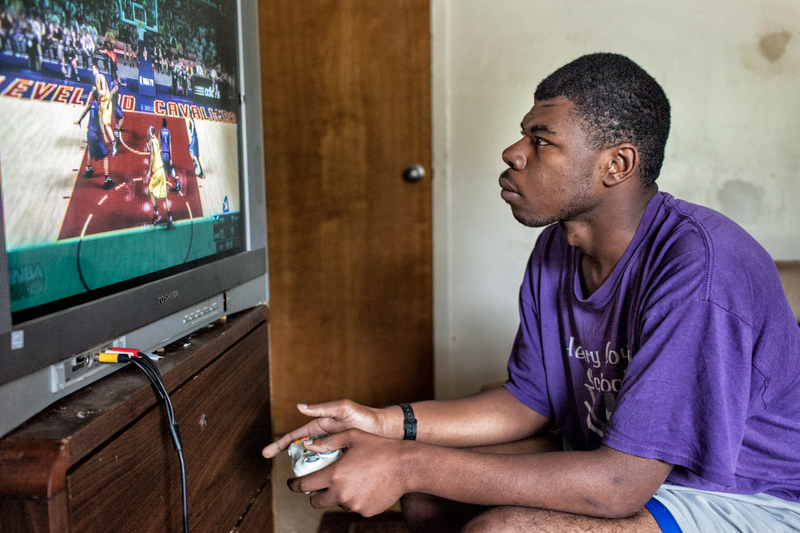 Rickey spends much of his day playing video games at home. I am very grateful for the generosity of those who have donated to my project “Real Stories, Real People”. I will use these funds to create a publication that will be distributed to the public and Georgia policymakers free of charge. This publication will include the photo essays I am creating about individuals who are living with a developmental disability (DD) and their families and information about DDs. I have embarked on this project because Georgia is in a state of crisis as it pertains to funding and providing supports to individuals with a DD. There are over 7,500 people on the waiting list for a Medicaid waiver in Georgia and this past legislative session our policymakers appropriated funds for only 75 additional waivers. 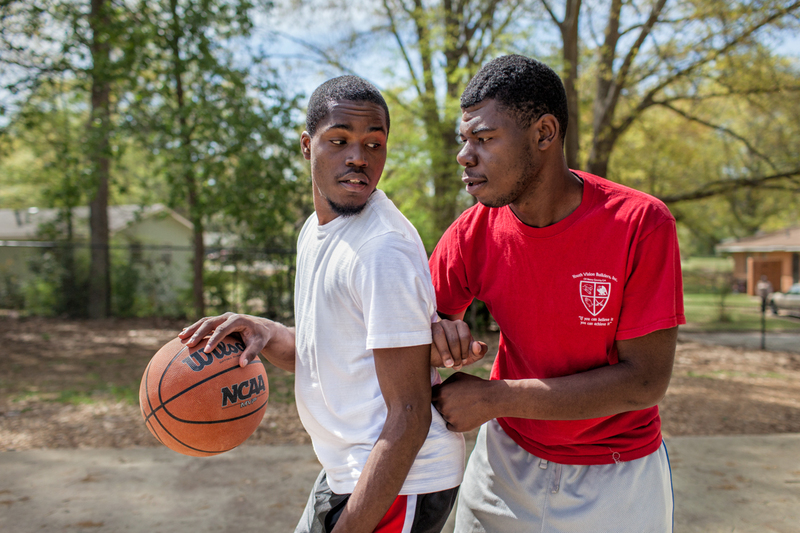 What this means is that people like Rickey Armstrong (blog post from April 14) risk loosing their lifeline to the community because they do not have the supports in place to ensure their success. Rickey has a job at Golden Corral, 12 hours a week, but has come close to loosing his job because he cannot consistently get to work. His family does not own a car, there is no public transportation in his community and it is difficult to rely on neighbors for a ride. 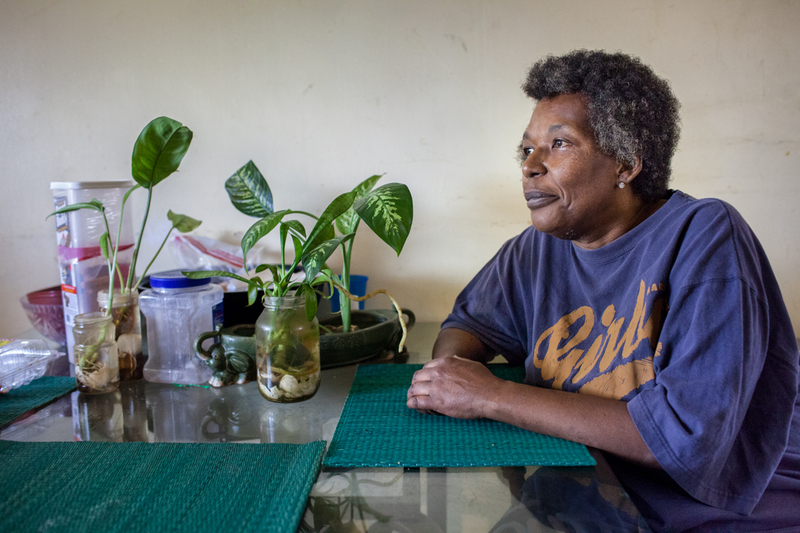 If Rickey had a Medicaid waiver he would have access to supports that would provide transportation to work and supports to assist him in developing the skills he will need in order to live an independent and integrated life in his community. Without funding for supports, Rickey could potentially end up sitting on his couch for 12 hours a day playing video games. This is not a life. Please support my project so I can be the voice for the thousands of people in Georgia who are living with a DD and who are in dire need of funding for supports. Educating the public and Georgia policymakers is paramount in creating change. You can help! To make a tax-deductible donation please connect to the link below. In my last blog post I introduced you to Donna Armstrong, a grandmother who has been raising her three grandsons for 19 years. Despite the many challenges she has faced, she has persevered and has been successful in raising three wonderful young men, including 24-year-old Rickey who is living with a developmental disability. 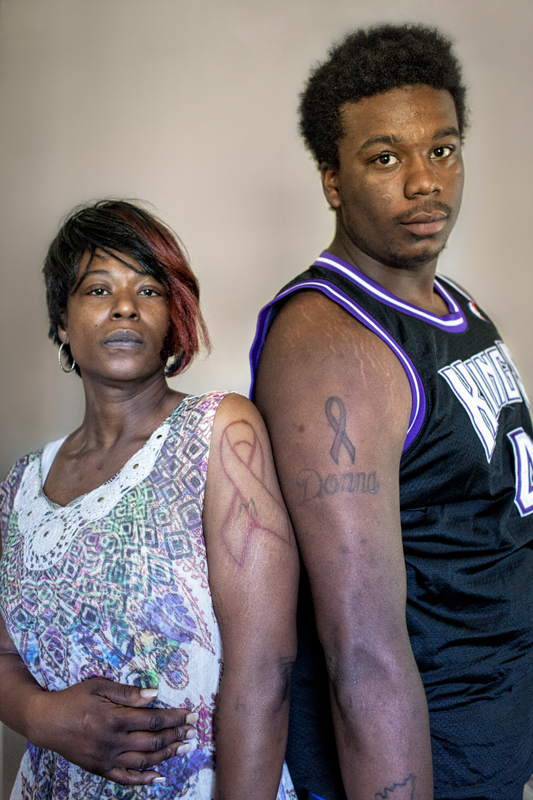 The second time Ms. Armstrong was diagnosed with breast cancer was especially frightening for her 20-year-old grandson, Donald (on right) and daughter, LaKisha (on left). Shortly after Donald got his tattoo, LaKisha got hers. Ms. Armstrong keeps an eye on her grandsons on the basketball court from the kitchen table. Rickey (right) with brother, Reggie. In a post from April 14th, I shared Rickey’s story about his job at Golden Corral. This post is about Donna Armstrong, the courageous and dedicated woman who raised her grandson, Rickey. Before Ms. Armstrong took custody of five-year-old Rickey and his two younger brothers she had been in a relationship and was getting ready to get married. Since that time, 19 years ago, Ms. Armstrong has successfully raised three boys single handedly. She has survived breast cancer twice and has undergone brain surgery that impaired her short-term memory. Despite these challenges Ms. Armstrong has always been there for her grandsons and still is.